We’ve just released a bunch of app updates for you to enjoy - our way of saying thanks for supporting Artgig Apps. The headliner is definitely Drive About: Number Neighborhood with an all new night driving mode! 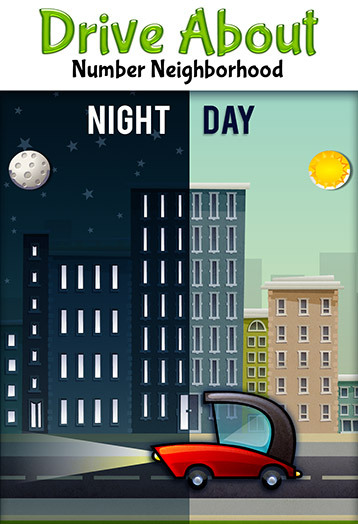 Night driving was one of the many features we originally considered for the app that didn’t make it into the initial release. When we were contemplating this round of updates, it quickly surfaced as the biggest bang for the buck feature we could add, because driving at night is like a whole new world - especially to a four or five year old. We also added the ability to change languages (English, French, Spanish, Portuguese, Russian) from the Parents page so you don’t have to change your entire device settings. If you want to get really crazy, you can let your child drive at night in an entirely foreign language! 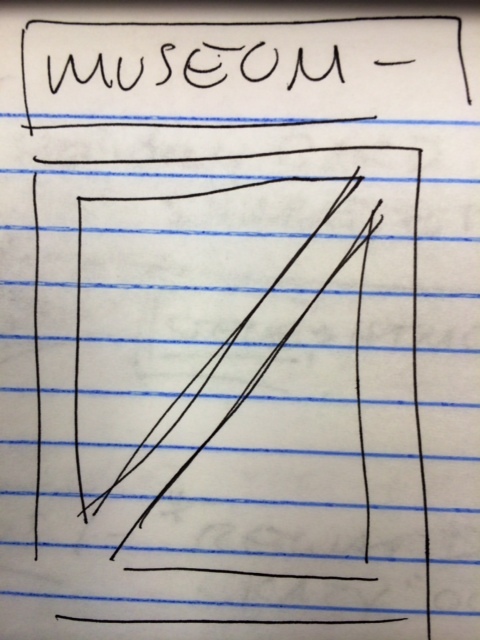 We’ve already talked about the complete makeover of our Mystery Math Museum icon. I have to say, I really like the new look and it will be interesting to see if our experiment pays off. We also added signs to the 8 themed exhibits on the map, so you can see what lies ahead on your journey. Yeah, we’re all wondering why we didn’t think of that sooner. 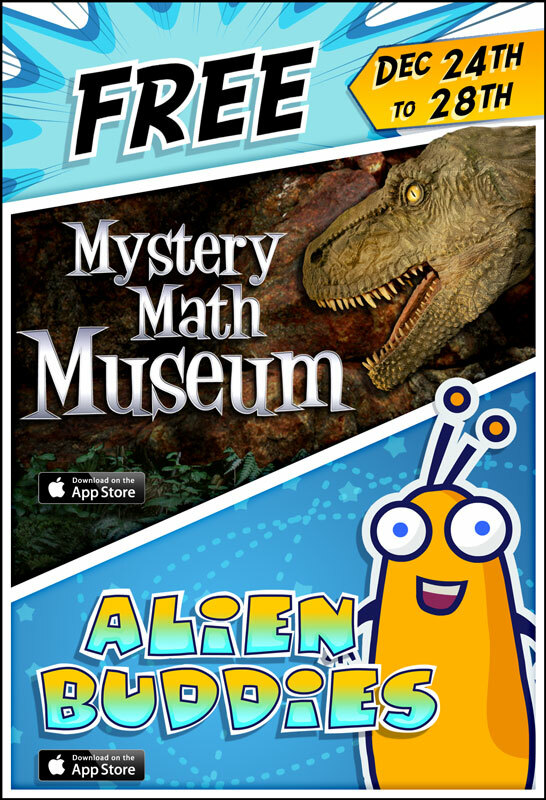 Our Marble Math, Marble Math Junior and Alien Buddies apps are also updated today. We added a little bouncy Artgig Apps intro to all of our apps to help with brand recognition. Please take a moment to download the updates and leave a rating or review. If you are a parent or educator and you would like a gift code to download any of our apps to review, please contact us. This is the last round of updates you will see from us in 2014. We do have another surprise update, and a new app we made for a client, coming in January, but our focus is on new development now. We’re going to get some takeout and lock ourselves in the lab to work on big things for 2015. Each year we try to do something nice for our friends and clients in the form of a custom Artgig holiday card. Like most holiday endeavors, this exercise is often completed under an intense deadline with an extra helping of stress as we attempt to create something worthy of sharing, while keeping to other work obligations. The holiday card “project” becomes that old friend, who you really want to see, but who shows up at the most inopportune moment. This is partly why we celebrated our Christmas party in July this year. I think we set the bar pretty high with last year’s Holiday Card Generator, which assembles random holiday greetings from a bank of sentence parts and images, so the pressure was on this year. Fortunately, we caught a bit of a break in November and seized the opportunity to re-engineer and re-gift a card from holidays past. 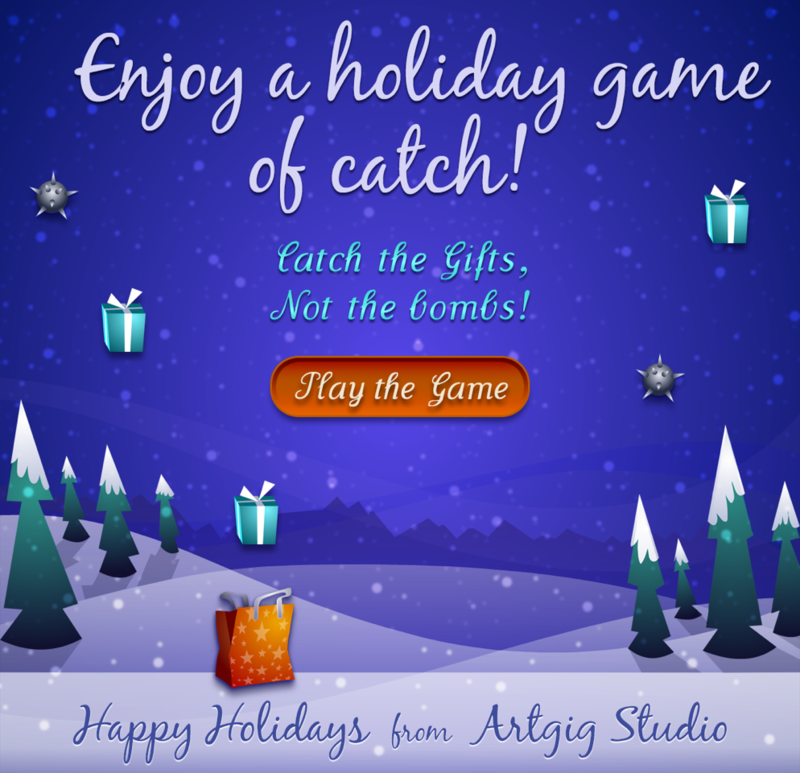 If you recognize this year’s Holiday “Catch” game, then you must have known us way back in 2008 when we first made it in Flash. Ahh, 2008 - Flash was still bossing all things web interactive and flaunting its ubiquitous-ness and the iPhone was still just a baby. Needless to say, it’s unlikely we’ll make any more games in Flash, so we made this game again in HTML5, because it’s worth sharing with our ever growing family of friends and supporters, most of whom did not know us 6 years ago. Enjoy the wonder of technology and the magic of the season. Catch the presents - not the bombs!